Teeth weaken with age and while they are protected by very strong enamel, progressive wear due to use can leave your teeth vulnerable to damage. An analysis by the National Institute of Dental and Craniofacial Research estimates that about 27% of seniors are completely edentulous, meaning they have lost all their teeth. The data is clear – good dental care among seniors is crucial for preventing tooth loss. How Can Tooth Loss Occur? Tooth loss can occur for a variety of reasons, but general causes include the process of gum recession and plaque formation. The gradual breakdown of gum tissue surrounding the teeth, over time, can lead to gum recession. When this happens, the roots of your teeth are exposed, leaving gaps or pockets between your gum line and your teeth. The gap provides space for the growth of infectious bacteria which can cause gum disease and promote the formation of plaque. Unchecked plaque build-up causes further infection and tooth decay resulting in tooth loss. Jaw bone Recession – The loss of one or more teeth may cause bone loss and gum disease in and near adjacent teeth. Because teeth rest on the jaw bone the absence of a tooth can leave part of the jaw bone exposed, without the structural integrity of the tooth, leading to further recession. The longer missing teeth are left untreated in seniors, the more severe the jaw bone erosion. Moreover, an unreplaced missing tooth can lead to further tooth loss as large areas of the gum line are now open and susceptible to bacteria. Poor Nutrition – Missing teeth can make chewing extremely difficult. Because digestion starts in the mouth, seniors with missing teeth cannot chew solid food into small enough pieces for mouth enzymes to break down efficiently. The result is a loss of vital nutrients due to poor digestion. In addition, seniors with missing teeth may suffer from malnutrition because they dislike eating in general as it can be painful or embarrassing. Dental implants are placed directly into the jaw bone where the missing tooth was located. These implants are surgically implanted pegs attached to a crown that has been shaped to resemble the missing tooth. Dental implants act like natural teeth and look very realistic. With a dental implant, you can enjoy your previous diet and eating routine. Implants are best for replacing one or two lost teeth, but with the aid of multiple pegs, can replace many. 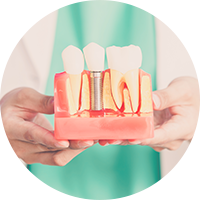 Dental implants serve as a replacement for a lost tooth’s body and root and can last a lifetime if properly maintained. 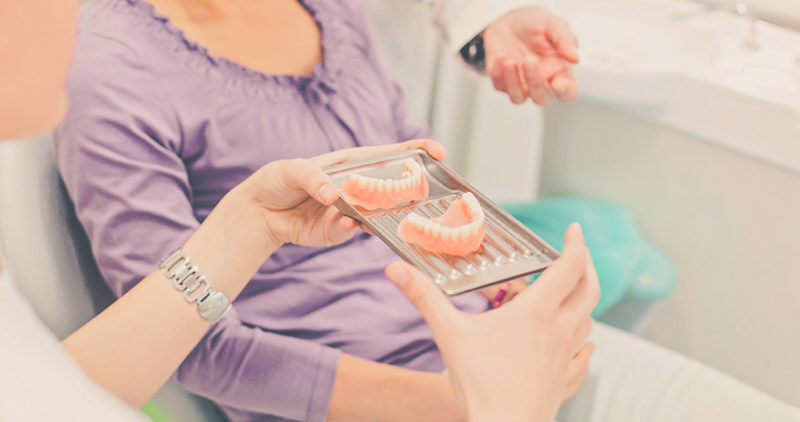 Dentures are a dental appliance for replacing both missing teeth and neighboring tissues. There are two types of dentures: partial and complete. Partial dentures are used for filling up space left by missing teeth when you have natural teeth remaining. They help keep your healthy teeth from shifting from their original positions. Complete dentures are used when a person has lost all their teeth. Dentures can be removable or fixed with implants. Removable dentures or “false teeth” can wear away with time. Fixed dentures, when fully integrated, allow you to enjoy your favorite foods, just like before. As the word “bridge” suggests, the dental bridge is a tooth fused between two columns to fill the space of a missing tooth. 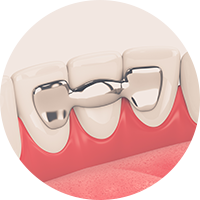 There are many dental bridge options available to choose from, but the most common type is the porcelain fixed bridge which is popular because of its natural look. 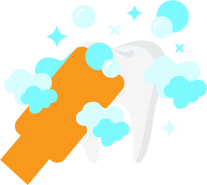 Oral hygiene is a great way to prevent tooth loss among other benefits. Tooth loss, however, can still occur in people with good dental care habits. 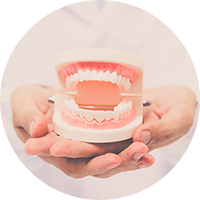 If you or your loved one have lost one or more teeth, it is important you schedule an appointment with your dentist, even if you can eat without difficulty. Early intervention will help you fix the gap, prevent infection, and stop further tooth loss.